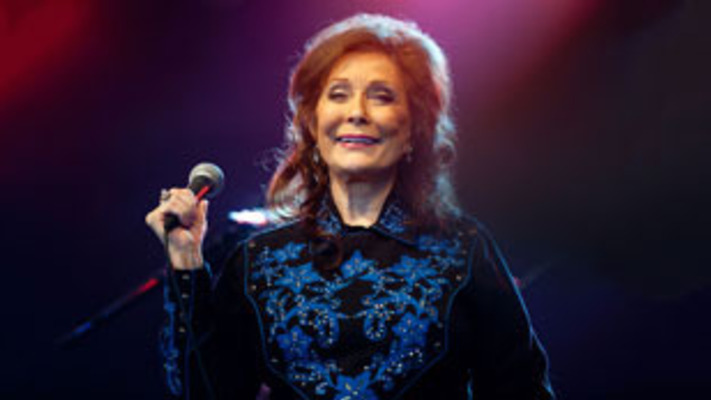 Country legend Loretta Lynn, born as Loretta Webb, grew up as the second oldest of eight children in Butcher Hollow, Kentucky. Her father was a coal miner and her mother stayed home. Loretta married Oliver Lynn, often referred to as “Doolittle” when she was just 15 years old and had four children before she turned 20. Doolittle bought Loretta her first guitar for just $7 and often encouraged her to play. Lynn began singing in music clubs in the late 1950s and shortly after won a televised talent contest alongside her brother. Her first single “I’m A Honky Tonk Girl” was produced by Zero Records and her career took off shortly after the release of the single. Lynn released countless albums throughout the ‘50s, ‘60s, ‘70s and ‘80s and is regarded as one of the most acclaimed names in country music. A member of the Grand Ole Opry and Recording Academy, Lynn was a trailblazer for women in country music and sang about the true challenges women faced including stories of her own rocky marriage. Lynn has stated, “I was the first to ever go into Nashville, singin’ it like the women lived it…I just wrote about things that happened. I was writing about things that nobody talked about in public, and I didn’t realize that they didn’t. I was having babies and staying at home. I was writing about life. That’s why I had songs banned.” Loretta Lynn is a country music legend that changed the genre and opened the stage to so many more women.